Not nearly enough time for ice fishing this year. Hope you guys are making it out. This may well be the only thing I like about winter. Is that a Burbot. What do they taste like. I don't know how biologically accurate it is, but lots of people say they're a fresh water cod. That long gross looking tail is a beautiful pair of boneless fillets. Better than Captain Highliner. It really pained me to throw two of them back today. You must be borderline nuts if you were getting the same temps there as we have been getting for the past week. I've been out almost every weekend for the last month. Will be heading back out this weekend coming and hopefully, for the next 3 weeks anyway. We've caught some nice pike. Nothing super large, but decent sizes. Lots of crappie and my son-in-law caught a massive perch the other weekend. 13" long. Beautiful fish. i went out a couple of weeks ago, two weekends in a row. im either selling my gear after this winter or selling my gear now lol. 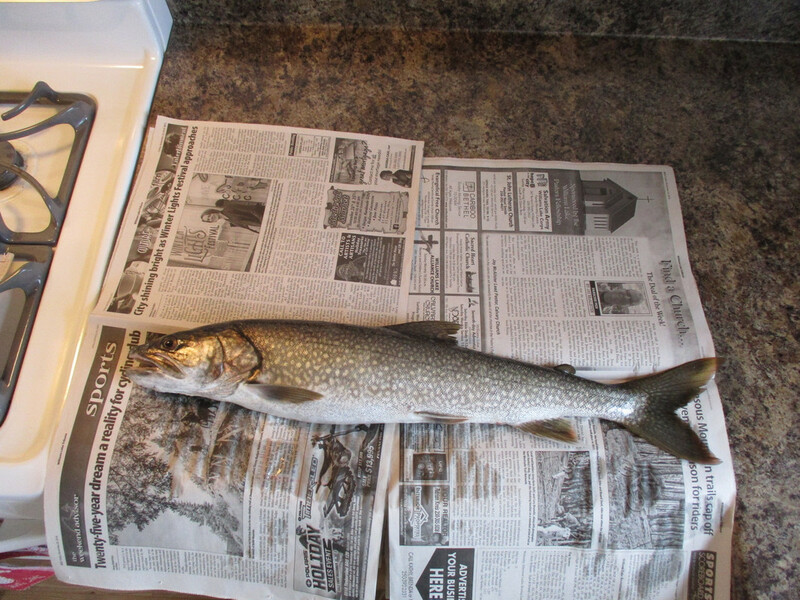 23 3/4 inch Lake trout. Got a chainsaw in that tackle box?